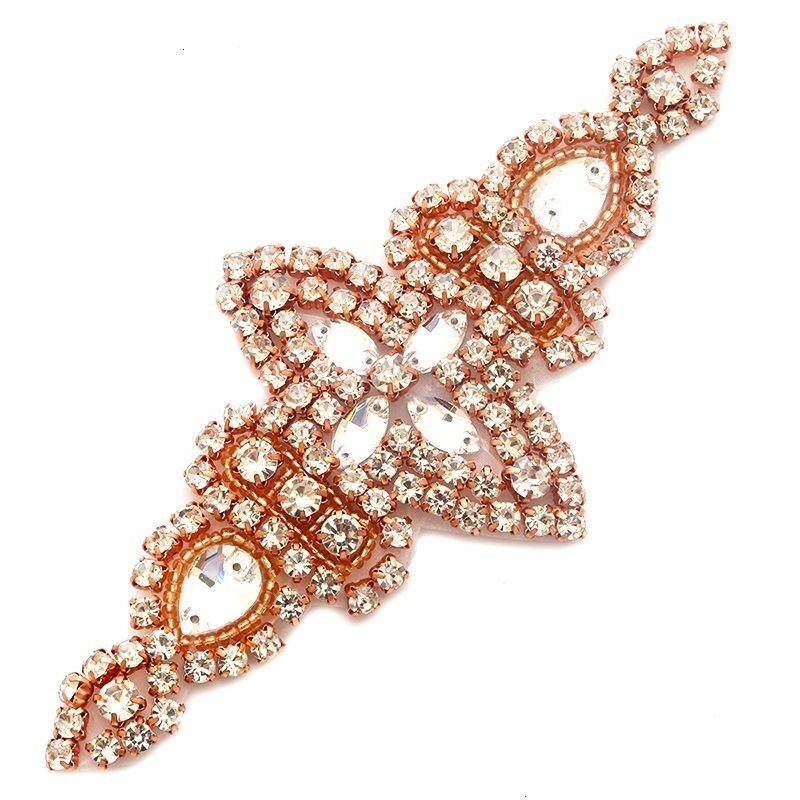 Rose Gold Applique Beaded Crystal Rhinestones Rose Gold Settings Bridal Bling Patch 6"
High Quality Clear Glass Rhinestones. 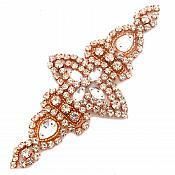 This applique is the perfect size for a hair piece, a bracelet, to put on a garter or even on shoes. Excellent applique for all your craft and sewing needs. Great for Bridal gown and evening wear. The rhinestones on this Applique are all real glass and very beautiful. Application: Iron, sew or glue on.